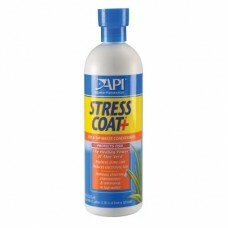 API Stress Coat 16 Oz. 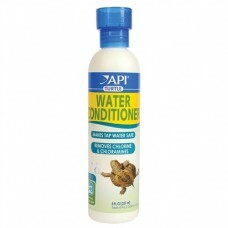 Water Conditioners STRESS COAT, with the healing power of Aloe Vera, is scientifically proven to re.. 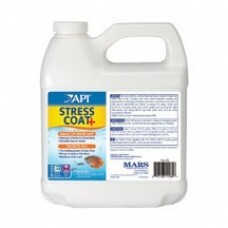 STRESS COAT, with the healing power of Aloe Vera, is scientifically proven to reduce fish stress and..
API Stress Zyme 1 OZ. 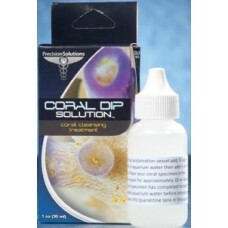 Improves the development of the biological filter and helps clean a dirty aquarium. 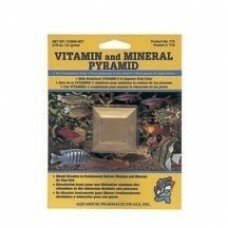 Contains over 30..
API Stress Zyme 16 OZ. 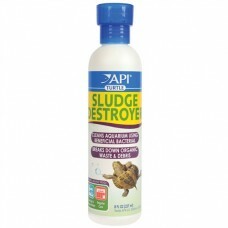 Improves the development of the biological filter and helps clean a dirty aquarium. 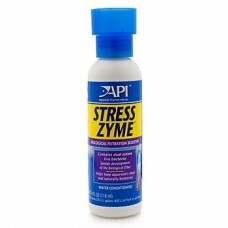 Contains over 3..
API Stress Zyme 4 Oz. 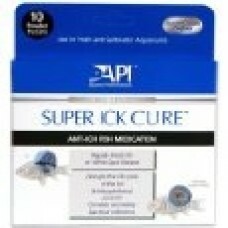 Super Ick Cure™ Powder Medications An effective treatment for Ich, a highly contagious disease..
T.C. 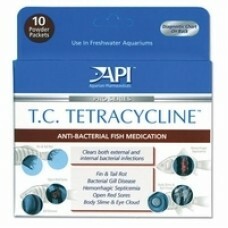 Tetracycline™ Powder Medications Anti-bacterial medication for common tropical fish disea.. 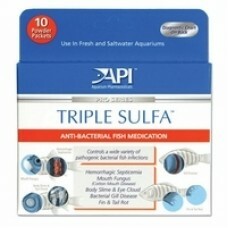 Triple Sulfa™ Powder Medications A special formula of three sulfa medications to effectively t..
API Turtle Fix 8 oz..
API Turtle Water Conditioner 8 oz.. 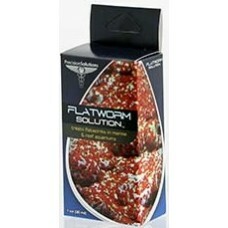 Continuous slow release of vitamins and minerals to improve color and appetite. Safe for freshwater .. 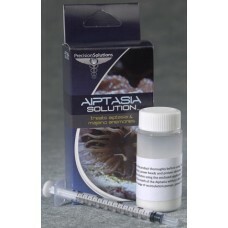 Treat stinging Aiptasia and Majano anemones in reef aquariums * Fast-acting Aiptasia Solution often ..
* Coral disinfectant keeps hitchhikers out of your reef aquarium * Essential coral cleansing treatme.. 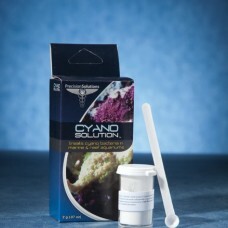 Treat unsightly cyano bacteria in marine and reef aquariums * Will not discolor aquarium water as it..
* Treat unsightly flatworms before they harm your prized corals * Flatworm Solution is safe for both..
Aqua Vision Phosphate Solution 1 OZ. 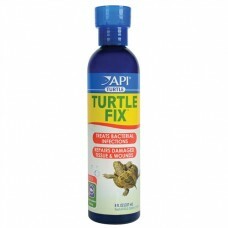 * Reef-safe phosphate remover boasts quick and effective action * Reduce phosphate levels in saltwat..
Aquarium Pharm PimaFix 16 Oz. 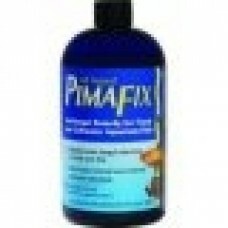 An all natural antifungal fish remedy extracted from West Indian Bay Trees Rapidly treats fungal inf..
PIMAFIX® All natural, antifungal remedy for the treatment of fish disease Benefits: Quickly treat..
Calcium Supplement Mix. 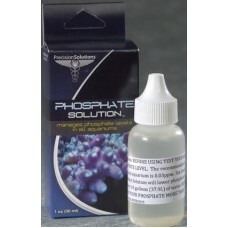 Our pure source of Calcium Hydroxide makes the ideal solution for replenishi.. 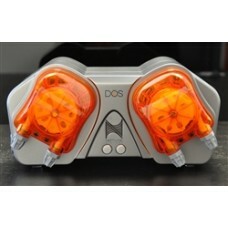 The DŌS is a multi-purpose Dosing and Fluid Metering System. The DŌS connects to any Apex via its Aq..